1 What are the different types of coffee grinders? 2.1 How to determine the particle size of the coffee grind respectively species? As known, coffee beans after harvest and processing prefer to store as a raw. That green grain stored for many years, almost without losing their qualities. If the beans are roasted, its properties deteriorate in a short time, especially if not properly stored, which often occurs in the home. A loss of aroma and taste of ground coffee, almost immediately. Freshly ground coffee is not necessary to store for future use, cook it is necessary only to the desired volume napiitka, and immediately brew, keeping fragrance oils, identified by milling. That's why, true connoisseurs of coffee itself is very important to be able to grind the coffee beans, and to do it right. so, Firstly, define: than ground coffee? Grinding exist manual and electric grinders, that, in turn, divided into professional and consumer. There are also attachments for grinding coffee beans supplied to some household kitchen combines. certainly, best suited for coffee grinding professional coffee grinders. Many of them have a important feature - conical grindstone. They prevent excessive overheating when grinding grains. It is very important, because when heated, which occurs in conventional grinders, of the precious aromas of coffee is lost. Plus professional equipment is the fact, it is more durable and reliable, It has a larger volume of the hopper for filling the grain. Minus them - only in high cost and bulkiness. Although, if there is no need to grind large amounts of coffee daily, it is better to stop the choice on plain home coffee grinder. However, it should be noted, that the focus of its purchase, should be paid to knifes, choosing high-quality metal and sharp blades. And the second - when grinding grains at such a coffee grinder, it will be necessary from time to time to stop the grinder to cool, that coffee is not overheated, losing its wonderful aroma. Note, that grind should only be the amount of portioned, which is necessary for the preparation of coffee at a time, harvest for future use, ground coffee is meaningless, and he will lose flavor and aroma. For certain types of coffee, there are different degrees of grinding, This allows the most manifest taste and aroma of the drink, depending on the version of its preparation. In other words, it depends on coffee grinding its quality. Consider, what types there are and how they are used. It is used for making coffee in the usual coffee pot, teapots and cups even. This coarser, with the largest particle size, extraction fire 6 to 8 minutes. Medium-coarse grind is required for the filter coffee. universal milling, It may be suitable for many a beverage options, eg, for French-press. extraction fire 3 to 5 minutes. Such milling is well suited for coffee geyser type, Extraction takes place in a few minutes. Handy for coffee with espresso function, where hot water is passed through the bed from fine coffee under a certain pressure. Used exclusively for brewing coffee in Turku (Cezve). 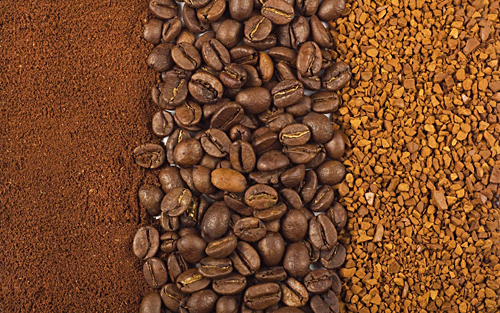 How to determine the particle size of the coffee grind respectively species? For, to grind coffee to a certain extent, We need to know the approximate size of the milled particles for each type of. sverhtonkyy similar to wheat flour or powder. If cooking espresso to take superfine grinding, the water may not seep through the layer of coffee. 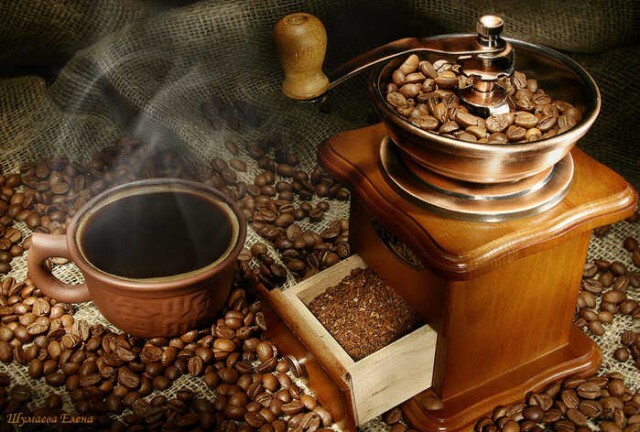 And if the grinding will be a major, the water will be shed very quickly, coffee will not have time to ekstragirovanija, get watery, without taste and flavor.